How many of us have been there…you’ve had a beautiful new baby and spent the first week or two boasting to all your friends about how good they are, how they only cry when they’re hungry and how much they sleep. Life is good. Then one day, usually somewhere between the second and fourth weeks, they start vomiting. Bawling indiscriminately while arching their backs. Refusing feeds. A visit to the GP confirms your fears. Reflux. Those dreaded words. The next 6 months suddenly stretch out in front of you like a prison sentence. Maybe I’m being a little dramatic. Honestly though, that’s how I felt at the time. 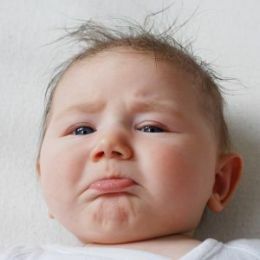 Reflux in babies is due to the fact that their digestive systems are immature. This results in their stomach contents occasionally washing up into their oesophagus. As these contents are acidic, they cause pain for the infant. Your GP may prescribe an anti-acid medicine in this case. Not all babies suffer discomfort though – some just bring back up feeds. This type of reflux is very common and will usually improve in time without any treatment. If your GP has examined your baby and is happy that they are growing well they will often send you home with no extra tools in your handbag to stem the rising tide of regurgitated milk that seems to be appearing everywhere you look. This was the category into which my small man seemed to fall – inexplicably piling on the pounds despite reproducing his feeds six times a day. All these options will thicken feeds so you will need a new set of teats if bottle feeding. For breastfed babies, Carobel® can be spoon-fed as a paste, and Infant Gaviscon® can be added to cool boiled water. Unfortunately these options may also cause constipation, so may not prove to be useful for many babies. Your pharmacist will be able to recommend a suitable remedy to treat constipation. 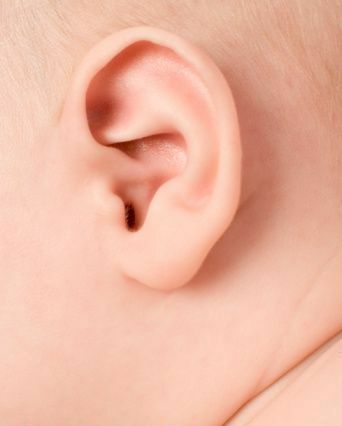 My first experience with an ear infection was when my baby was 9 months old. He was very restless and cried more than usual for two days or so but had no temperature. Like many mothers I put it down to teething. However on the third day I picked him up from his nap to find discharge running out of his right ear. I hadn’t even considered an ear infection. There followed a trip to the GP, an antibiotic and a gradual return of my confidence as a mother. In general, ear infections tend to be infrequent but in some children they are relentless. The small space behind the eardrum in the middle ear is normally filled with air. However in some children it is filled with fluid. These children are said to have glue ear, and are more prone to ear infections. And so it was with mine. He continued to get ear infection after ear infection for the next 6 months. Although our first instinct is to attend the GP for an antibiotic, antibiotics are not actually advised in most cases of uncomplicated ear infections. This is because the infection usually clears within 2-3 days on its own (an antibiotic often takes this long to work anyway). Occasionally, a GP will prescribe an antibiotic but ask a mother to hold off giving it for a couple of days. In the meantime, pain and fever should be treated with over the counter painkillers. Calpol and Nurofen can be alternated every 3-4 hours in babies as young as 3 months. However, you should always speak to your pharmacist for advice on the use of pain relief for children. A burst eardrum will usually heal over within a few weeks by itself once the infection clears. It appears quite dramatic but is actually associated with reduced pain (pain can be due to the build up of fluid putting pressure on the bulging eardrum). If there is fluid behind the eardrum which is causing frequent infections, an ENT consultant may advise the insertion of a grommet. This is a small tube placed in through the eardrum which will allow the fluid to drain. In most cases this tube will remain in place for a minimum of 9 months. Roughly one in three children who get grommets need a second set, and one in three of those who get a second set need a third. If your toddler reaches this stage it may be worth undergoing allergy testing. In some cases certain triggers like cow’s milk or pollen may cause excessive mucus to be produced which can build up behind the eardrum and become infected. However it is not advised to take a toddler off dairy unless this is proven to be a contributory factor.